FEBS Letters has retracted three papers by the Brazilian diabetologist Mario Saad, bringing his total to 18. The now-retracted articles, published between 2005 and 2010, contain doctored images, according to the notices, which read similarly. The above article from FEBS Letters, published online on 23 May 2005 in Wiley Online Library ( http://wileyonlinelibrary.com), has been retracted by agreement between the authors, the Journal Managing Editor, Felix Wieland, and John Wiley & Sons Ltd., on behalf of the Federation of European Biochemical Societies. The retraction has been agreed following concerns, brought to the editors attention, around data present in Figures 1A–C, 2B, 2C and 3A–C that indicate the use of software to edit the images in ways that invalidate the published figures as a record of the original data. The authors no longer have the original figure files to answer the queries and have therefore agreed that the best course of action is to retract the article. The authors believe the results of the research are scientifically sound and will seek to corroborate them. That paper has been cited 16 times, according to Clarivate Analytics’ Web of Science. The two other retractions cover “Selective modulation of the CAP/Cbl pathway in the adipose tissue of high fat diet‐treated rats,” which appeared in 2006 and has been cited 15 times, and “Modulation of hypothalamic PTP1B in the TNF‐α‐induced insulin and leptin resistance,” which came out in 2010 and has been cited 16 times. Saad, of the Universidade Estadual de Campinas in Sao Paulo, lost a legal battle with the American Diabetes Association, which had tried — successfully, it turned out — to retract four papers he’d published in its flagship journal, Diabetes. Which we are. Saad did not provide further comment. “Exercise training decreases mitogen‐activated protein kinase phosphatase‐3 expression and suppresses hepatic gluconeogenesis in obese mice;” “Acute exercise modulates the Foxo1/PGC‐1α pathway in the liver of diet induced obesity rats;” and “Acute exercise reduces hepatic glucose production through inhibition of the Foxo1/HNF‐4α pathway in insulin resistant mice.” Saad’s colleague, Eduardo R. Ropelle, is a co-author on all four papers. 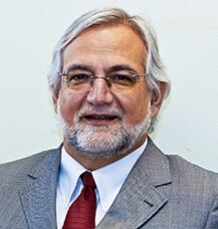 Since the Expressions of Concern were issued, The Journal of Physiology editorial office has heard from the institutions of the corresponding authors: Universidade Estadual de Campinas (UNICAMP)[for Eduardo Ropelle], and University of Extermo Sul Catarinense (UNESC) [for Claudio De Souza], following their investigations into this matter. The investigation by UNICAMP concluded that Dennys Esper Correa Cintra was not involved in the production of western blot figures in any of the four articles — and is singled out as the source of the problems with the images in the papers. Eduardo Rochete Ropelle was responsible for the production of western blot figures in article 2. He recognized that the band of figure 3b in this article identified as beta actin was the same as figure 8h of an article, of which he was first author, published in 2010 in the journal PloS Biology, in which it is identified as alpha tubulin. Related to the causes of such error, Ropelle listed factors including the high quantity of students and researchers that attended their laboratory during the production of the results; the high quantity of western blots made by these students; the study of only one phenomena in many experimental groups; the western blots registry system based on radiograph scanning containing blot results of different students; and electronic archives which were vulnerable to format and name change by a third party since their registry was made in a public computer. He detailed the actions that were since implemented in his laboratory (FCA‐Limeira) in order to ensure the correct representation of experimental results in future studies. The Journal of Physiology staff are satisfied that the duplication of the western blot was accidental, and was caused by poor scientific and recording practices. Due to the multiple cases of possible duplication of the western blot in the four articles listed above and other journals, the Expression of Concern will remain in place indefinitely for article 2. Eduardo Rochete Ropelle informed the UNICAMP investigating committee that that the researcher Claudio T De Souza, who was then at UNESC, centralized the production of figures in articles 1, 3 and 4. Previous Previous post: We’re officially launching our database today. Here’s what you need to know.